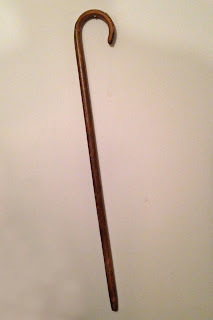 Thanks to my friend Michael Stroud, who is a fine magician and also a big fan of Doug Henning and Le Grand David, I now have one of the canes from Doug Henning's Cane Cabinet in my collection. The Cane Cabinet as presented by Doug Henning was called Backstage With A Cane Cabinet and it was the creation of Jim Steinmeyer. The origins of the trick go back to U.F. 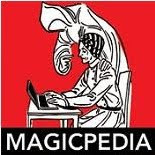 Grant and can be found in a number of different magic books including Tarbell. The U.F. Grant version used Steel Bars and an upright cabinet. Jim's creation was basically the same cabinet with some subtle alterations to the method and with canes rather than steel bars. It was introduced into Doug's show in 1984 according to the book, Spellbound, by John Harrison. The routine borrowed liberally from Dante's Backstage With The Magician presentation, with a painted backdrop that looked like the audience. The illusion was performed facing that backdrop, so it appeared to the real audience they were getting a view of an illusion that wouldn't normally be seen. In the course of the illusion, the magician, sneaks out of the cabinet (in full view of the real audience of course) and goes underneath a covered table-like structure. A large quantity of wooden canes are shoved into the now apparently empty box. Once all the canes are in, one of them mysteriously begins to move, the assistants quickly jump in and remove all the canes. At the conclusion of the illusion the magician is found having vanished underneath the table and is yet again inside the Cane Cabinet. It's a wonderful effect, part penetration, part transposition. Doug later performed this on The Tonight Show w/Johnny Carson. 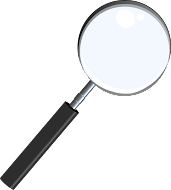 In October of 2014, Jim Steinmeyer's column in Genii Magazine called CONJURING, featured another take on the cane cabinet, this time called The Petite Illusion. That version doesn't have the 'backstage' feature but does offer another 'sucker' like ending. To my knowledge the only other person to present The Backstage with a Cane Cabinet was Lance Burton. I remember seeing the illusion featured on one of Lance Burton's TV Special's and I think he also performed it on the Tonight Show, but this time Jay Leno was the host. I am pretty sure I saw him perform it at his fantastic show at the Monte Carlo Hotel Casino in Las Vegas. At the bottom of the page is a video of Lance's Cane Cabinet in action. 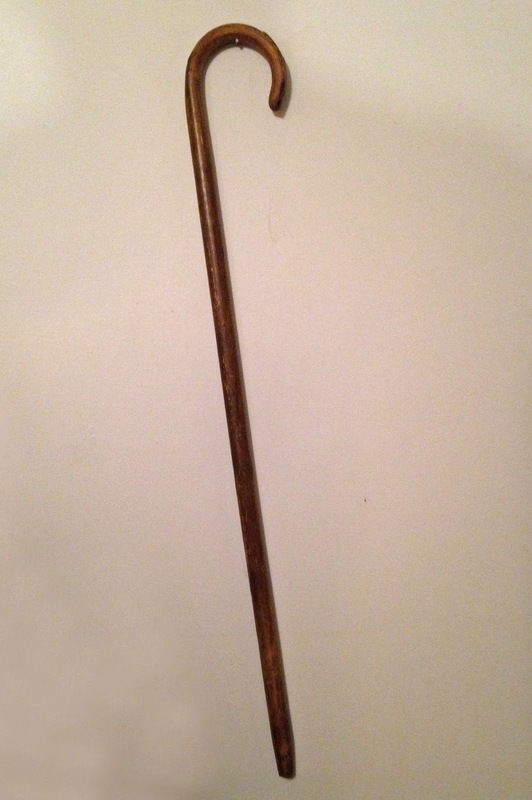 The photo above/left shows the cane once owned and used by Doug Henning. I am actually going to have it mounted on a board with a photo of the cane cabinet, but I have to locate a photo of Doug presenting the illusion first. The Cane Cabinet owned by Doug Henning was purchased at the Southern California auction of Doug's props by a magician from Hollister, CA, William Wizard. My friend Michael purchased the illusion from Mr. Wizard at a later date. Michael held onto the illusion for a while but it's size became an issue for storage so he eventually sold it to an eccentric collector in California. However, Michael kept the canes and now one of those canes is in my collection. 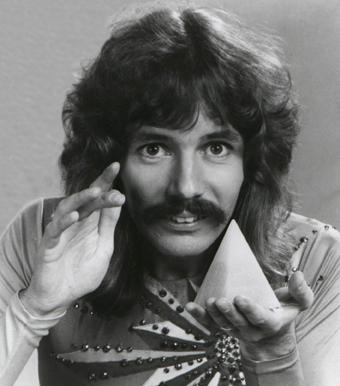 If you enjoyed this, I'll have another Doug Henning article later this month!